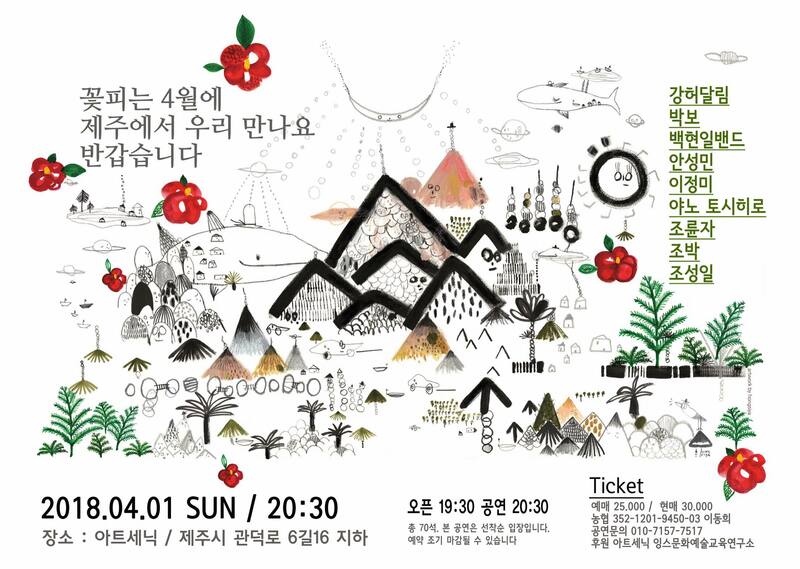 On April 1, Korean musicians living in Japan will join with musicians from Jeju to put on a show at Art Scenic as part of the 70th Anniversary of 4.3. Park Bo, Joe Park, An Seongmin, Lee Jeongmi, Yano Toshihiro will be coming from Japan while the musicians from Jeju are Kangheodalim, Jo Seong-il, and the Bak Hyeon-il Band (Guitarist Oh Jin-woo, Bassist Lee Dong-hee). Park Bo is a second-generation Korean resident in Japan who was born in Yamanashi-ken. He plays rock, reggae, soul, and Korean and Japanese folk music. Lee Jeong-mi was born to parents from Jeju in Tokyo and she performs more than 100 times in a year traveling back and forth between Korea and Japan. Joe Park is a second-generation Korean who lives in Japan in Nishinari-ku , Osaka. Yano Toshihiro was born in Hokkaido and he is a guitar and mandolin player. He has supported musicians in Japan like Lee Joeng-mi, Park Boe, Joe Park, etc. He does solo performances of 1970s to 1980s Japanese songs. An Seong-min is a third-generation Korean resident in Japan from Osaka. He finished a Masters course in Korean traditional music at Hanyang University in Korea. 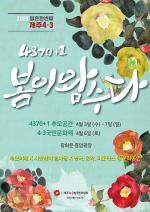 He received a special award for Pansori in the 40th Namwon Chunhyang Korean traditional music contest in 2013. He performed 'Sugunga' in 2016. Tickets: 25,000 in advance, 30,000 on the door.